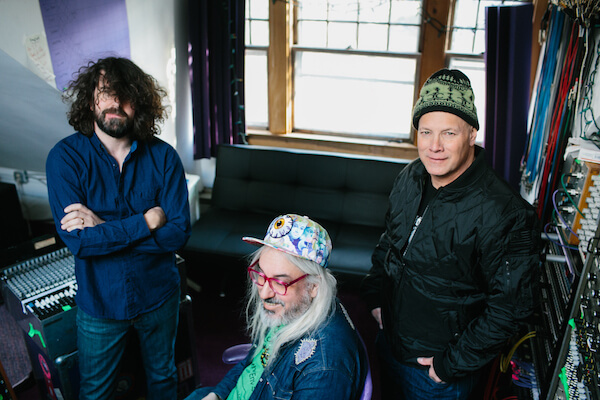 Ten Questions with Dinosaur Jr.
Home » Music » Ten Questions with Dinosaur Jr. The seminal indie band plays The Waiting Room March 18. What is the soundtrack to your youth? For some very hip folks in their 30s, 40s and 50s, that soundtrack would have to include Dinosaur Jr. The band has been at it in one form or another since 1984, releasing their debut — a mish-mash of punk, heavy-metal and C&W — under the name Dinosaur in 1985. Back then it was J Mascis on guitar, Lou Barlow on bass and Murph on drums. Just like the rest us, that line-up would go through some changes over the years, but would circle back to its original line-up in 2006 and pretty much stay that way right up to the band’s latest, Give a Glimpse of What Yer Not (2016, Jagjaguwar). In between, the band released seminal albums like 1987’s You’re Living All Over Me, 1991’s Green Mind, 1993’s Where You Been and 2007’s Beyond, keeping that soundtrack going for the next generation (and the generation after that). We caught up with Dinosaur Jr. drummer Murph and asked him to take our Ten Questions survey. Performing live on stage is the best thing about being in a band. Constant compromise, hardest thing about being in a band. Worst gig was in Pawtucket RI, sketchy vibe, and horrible sound. I haven’t always been able to support myself through my music and it has taken a long time. I’ve supplemented my income with drum lessons and odd jobs. Profession I’d like to try is teacher or therapist, and worst profession would be being a cop. Omaha Nebraska, “where’s the Beef”! My mother always used to order Omaha steaks at Christmas time.